Carlito R. Stewart has studied cello since the age of 9. Growing up, his father gave him a well-rounded love for all genres: jazz, rock, R&B, blues, and soul. He completed a double major for his Associate of Applied Science (AAS) and Music Business and Arts at Chandler-Gilbert Community College. Then he transferred to the University of Arizona where he began his Bachelor’s degree in Music with an emphasis on Cello Performance, under the direction of Dr. Theodore Buchholz. During the summers, he acts as faculty for StringPlay, a summer music camp dedicated to developing creative styles of music performance. He helped develop and grow the camp since its founding. Working closely with the renowned fiddler and director of StringPlay, Taylor Morris, Carlito has performed at numerous public schools, community venues, and also at a benefit concert for the MD Anderson Cancer Center. 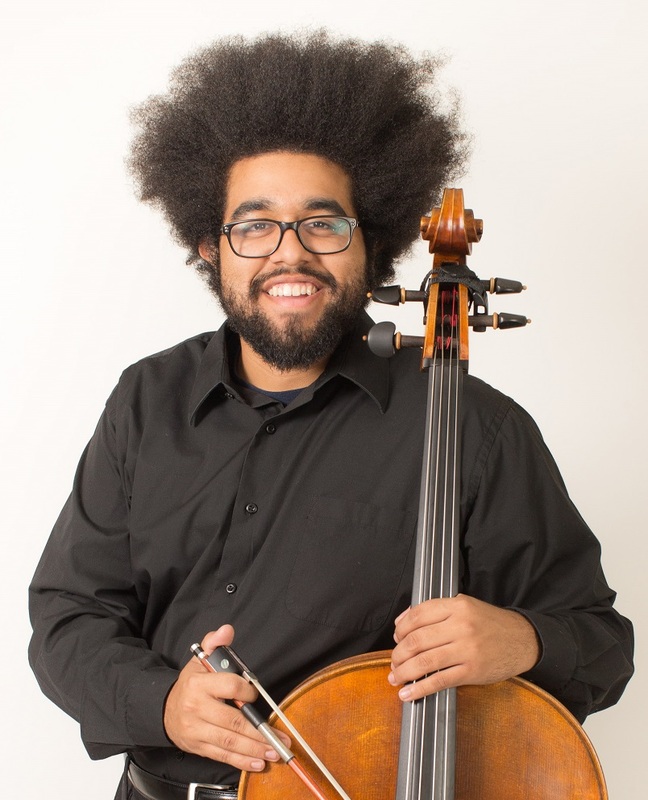 Carlito performed as a member of the Scottsdale Community College Cello Ensemble, with his former cello instructor, Dr. Jenna Dalbey of the Tetra String Quartet, for over two and half years. Carlito also regularly attends the Mike Block String Camp where he has performed with inspiring folk musicians and crazy cello pioneers like Mike Block and Rushad Eggleston. Through his years of performing he has had the privilege to play with musicians like Mike Block, Hanneke Cassel, Lauren Rioux, Brittany Haas, Natalie Haas, Jayme Stone, Rushad Eggleston, Joe Walsh, Kai Welch, and, the heavy metal band, Disturbed. Carlito is also an Eagle Scout. Learn more and keep up on happenings at Rosie’s House by signing up for our emails. We’ll keep messages relevant and to the point - and we won't flood your inbox.